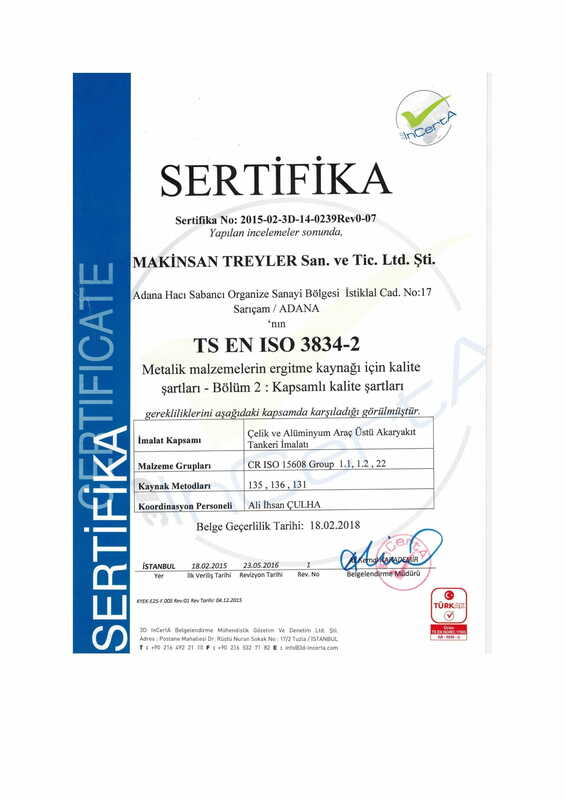 Makinsan Trailer Industry was founded in 1992 in Adana. 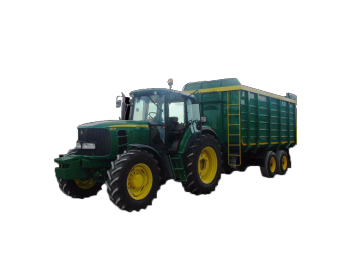 In the beginning we entered to the market by producing general axled vehicle. Over time, Makinsan proved itself and to meet increased demand carried the facility to 30.000 m2 area. 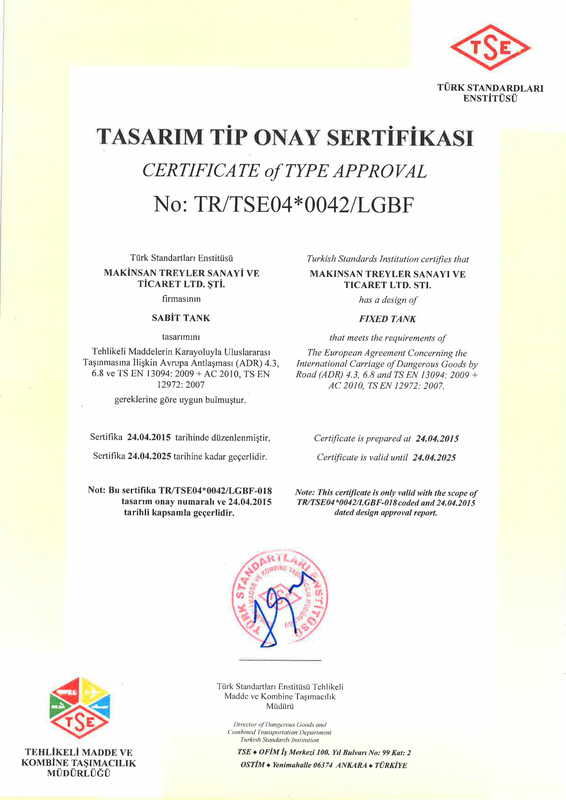 Trailers of Makinsan are made by using high quality steel, components of leading world and local producers. 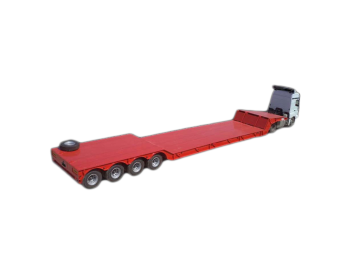 So our trailers have a great reputation in the market for their strength, quality and durability that allow you to transport large and multi tonnage cargo. Also we have been exporting 80% of our special products to the market of Europe, Africa, Central Asia, Middle East Countries, Russia etc. Over 20 years the quality has been testing day to day by time and millions of kilometers. 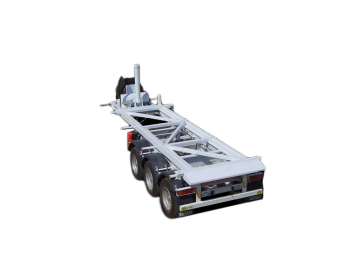 Makinsan Trailer has been trying to provide all the requirements of our clients. Customer satisfaction is the most important thing for Makinsan. 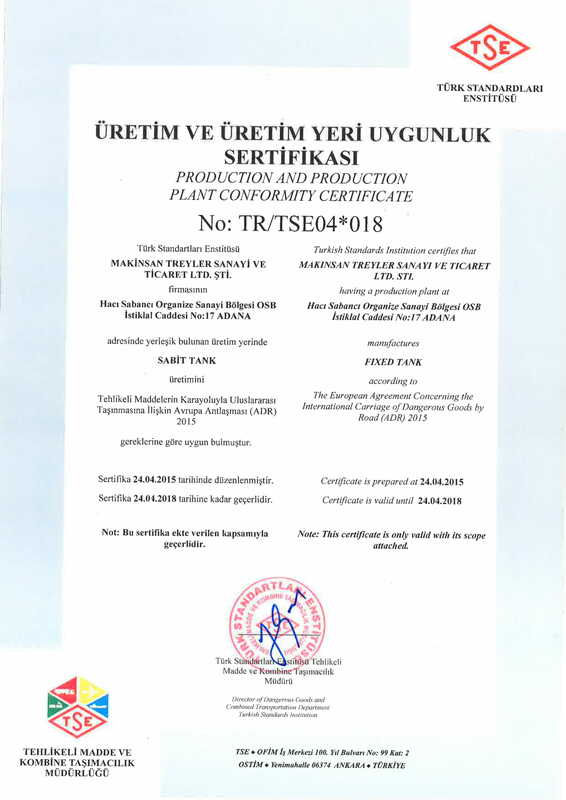 For this purpose, since founded, we have been trying to satisfy our clients. 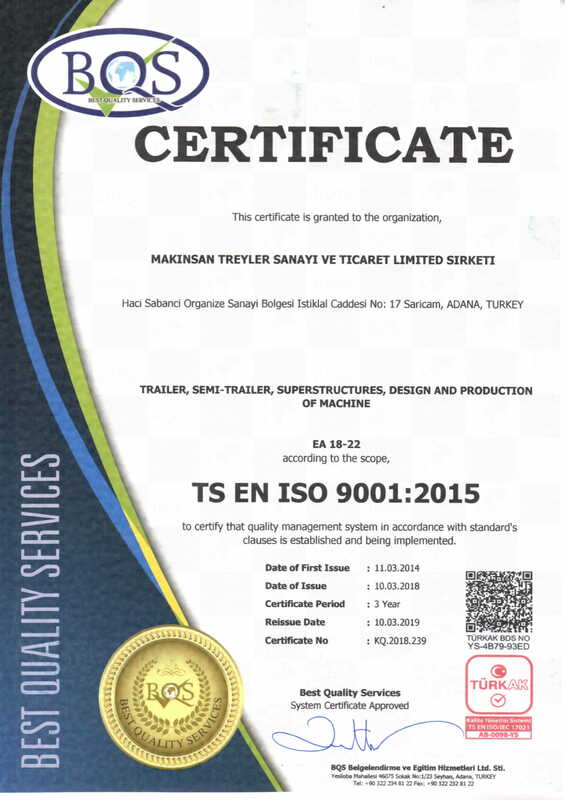 Regarding to all parameters, Makinsan is one of the leading manufacturer of special trailers and semi-trailers for the special haulage ındustry in the world. © 2017 Wiki Yazılım Tüm hakları saklıdır.